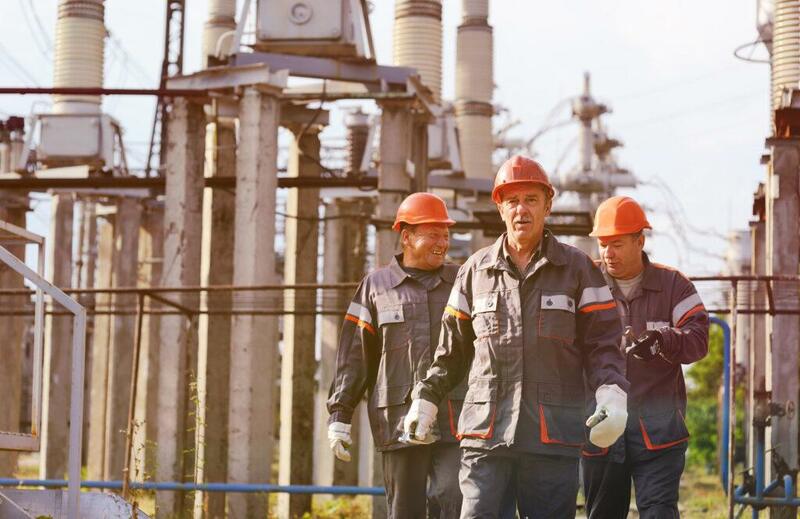 Steel is a naturally strong material, but it can be made even stronger and more wear-resistant after application of a special heat treatment, the so-called hardening of steel. This hardening process comprises two steps: hardening, followed by tempering. 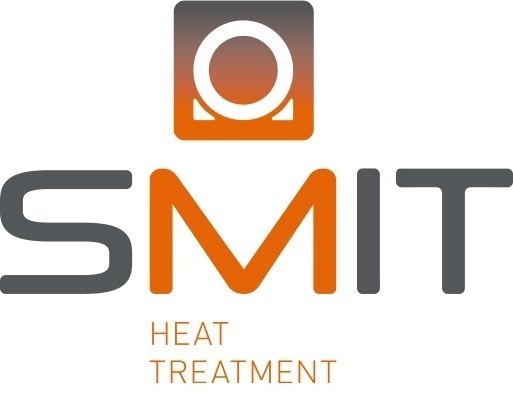 Smit Heat Treatment is your go-to expert for heat treatments for any kind of metal you can think of. Thanks to our extensive know-how of materials and processes, we know exactly what kind of result requires what kind of treatment. 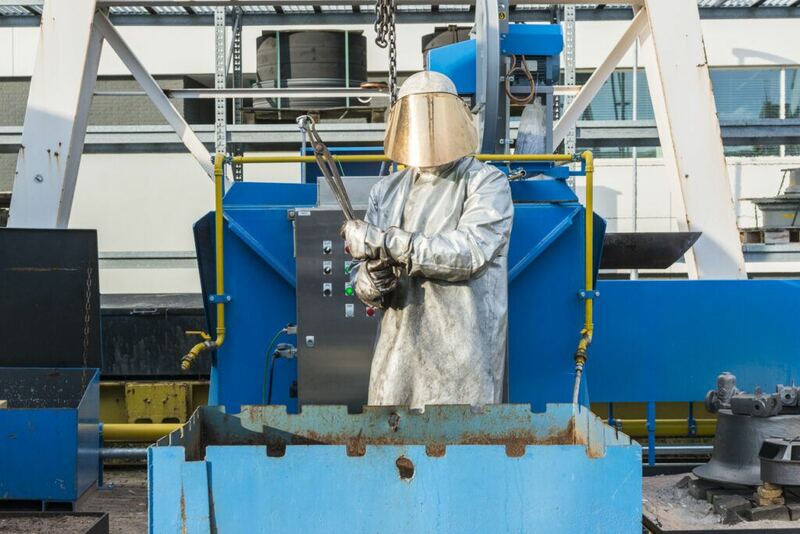 Hardening steel, for example, entails highly specialised heat treatments aimed at bolstering the material’s strength and making it more hardwearing. In the hardening process – the first of the two steps in hardening steel – the steel is brought to its utmost hardness by heating the material to a temperature in excess of 800°C to bring it into the so-called ‘austenite zone’, and keeping it at this temperature for a certain amount of time. All carbon in the material and a part of the alloying elements will dissolve into the austenite structure. 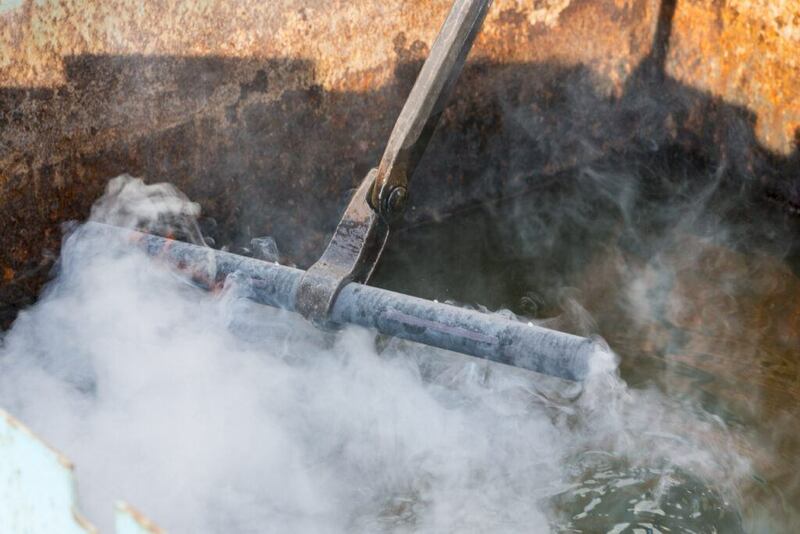 After the heating phase, the workpiece is cooled rapidly in the so-called ‘quenching’ of steel. This is generally done by soaking the material in a bath of water or polymer, or by cooling the workpiece with forced air or a water mist (fog quench). Quenching captures the carbon atoms in a certain structure (the ‘martensitic structure’). Hardening steel requires a carbon content of at least 0.3%, and the more carbon there is in the steel, the harder the workpiece will be after the heat treatment. The same goes for the percentage of alloying elements. The hard structure we created through the above treatment is brittle and can therefore break quite easily. Tempering the steel will make it tough and therefore stronger. Tempering follows immediately after quenching and entails heating the steel to a low temperature (150-350 °C) for a certain amount of time. The tempering temperature determines the final hardness of the material: higher tempering temperatures result in higher steel toughness; lower tempering temperatures mean higher hardness. 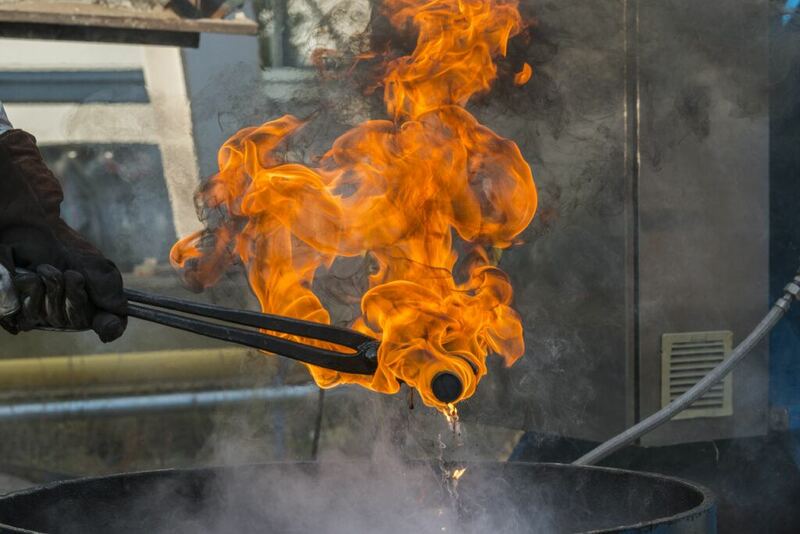 Are you interested in our hardening services? Please feel free to contact us. We look forward to working with you!